The guys go to California, talk SeaWorld CEO & Dollywood 2019 plus they go 2 to 6. 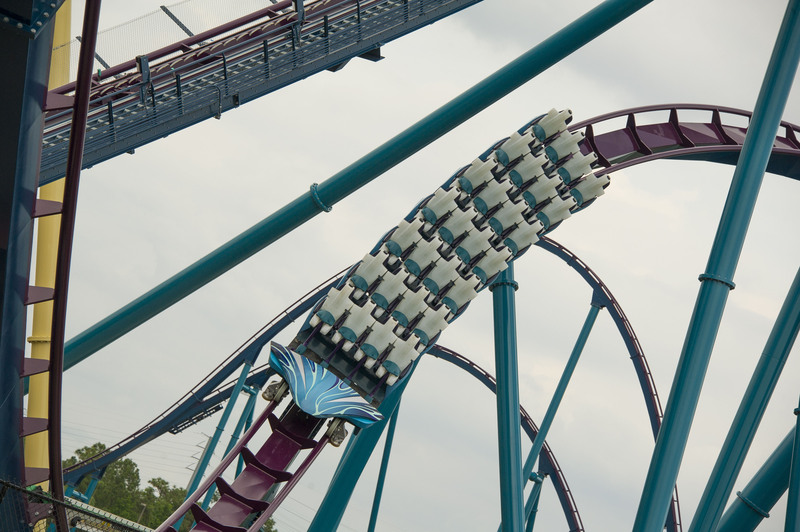 Mako has completed its first of many test runs yesterday at SeaWorld Orlando. This is a monumental achievement for the park and designers of this B&M hyper coaster. Mako is named for a species of shark, the fastest in the world. Check out some of these photos the park has sent over, as well as a POV video. 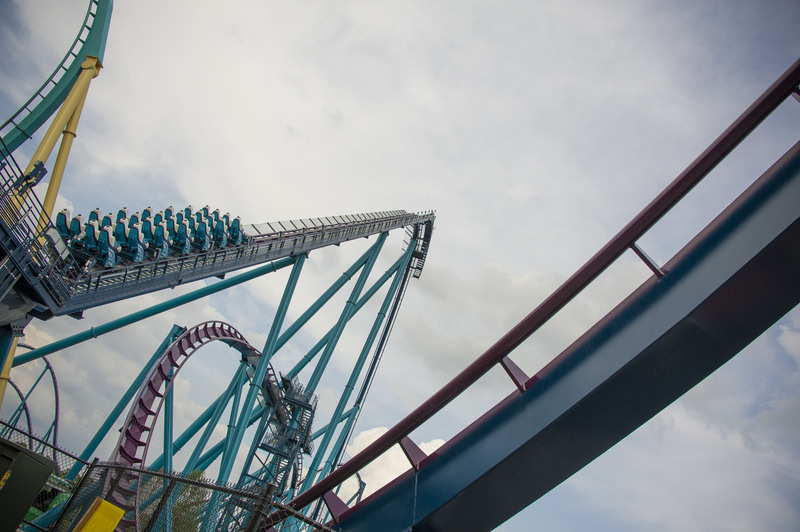 Orlando, Fla. (April 15, 2016) – Mako made its debut run along its 4,760-foot steal track at SeaWorld Orlando this week. 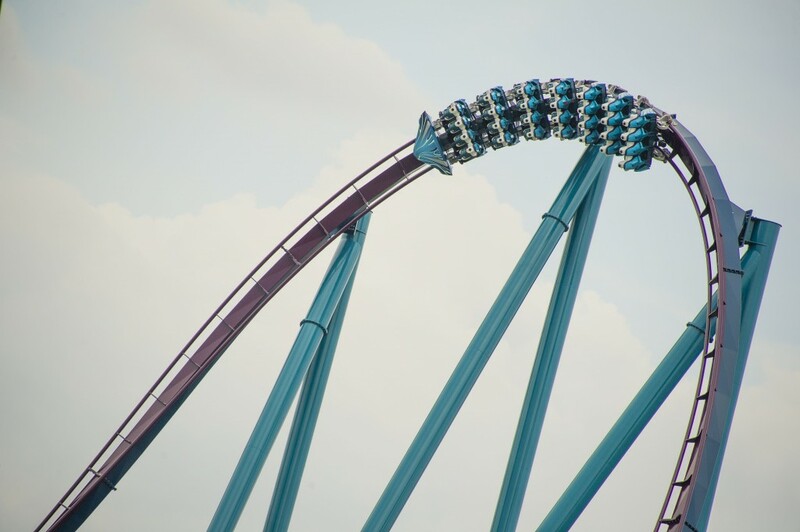 During its inaugural test ride, Mako plunged 200-feet down from its initial lift hill, surged through nine air-time hills and reached topped speeds of 73 mph. Mako’s tight turns and speed are inspired by reality. Mako sharks are known for their top speed, making extreme jumps and the ability to quickly change course as they pursue their prey. Riders will become submerged into the world of the mako shark and feel the power of the predator as they experience the thrill of the hunt starting June 10. Opening June 10, 2016, Mako will be the tallest, fastest and longest coaster in Orlando. Orlando’s only hypercoaster lures guests to brave tight turns, stomach steep drops and endure shark-attack speeds. Riders will soar up to 200 feet high and reach speeds up to 73 mph. Mako will be the centerpiece of the new two-acre shark-themed realm which also includes Shark Encounter®, Sharks Underwater Grill®, gift shops, and shark- and shipwreck-themed educational experiences. Follow the Mako frenzy using the hashtag #NothingFaster. Visit SeaWorld.com/Mako for more information and updates on the new ride. Legend is back from Texas and tells us about his trip. We also go over the news of the week including: Rivers Of Light Delayed, Awkward Wedding Packages now available at Cedar Point, Battle Klash officially names Invadr at Busch Gardens, Opening Date and New Show For Mako and more! Just the Legend and Clint this week as they talk about the parks opening up in Virginia. Also we hit the news: Year Round Walking Dead Haunted House for Hollywood, New Chocolate Factory Concept restaurant coming to Orlando Citywalk, Alton Towers announces 7 ride closures, Cedar Point opening up a week earlier then normal this year, Disney sending out surveys about adding a resort fee to hotels, and more!